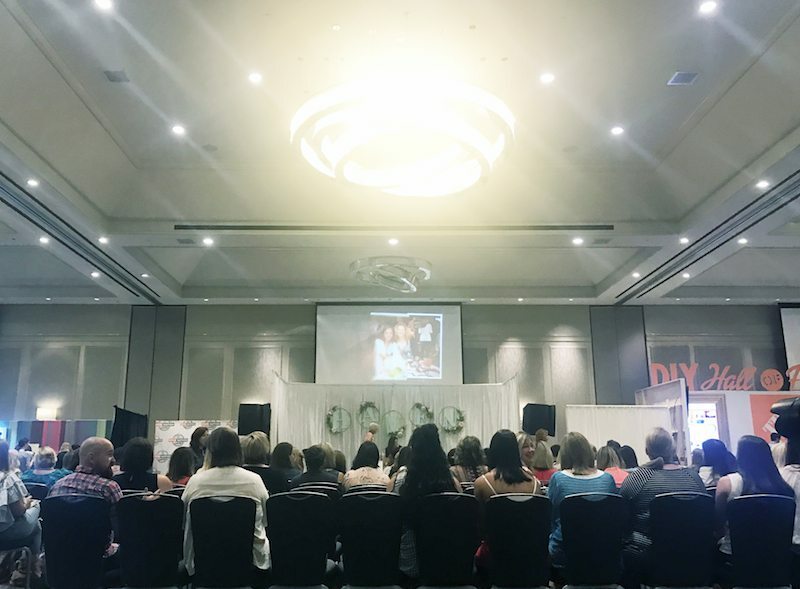 Haven Conference Recap - Sincerely, Sara D.
This is the third year I’ve gone to Haven Conference, and it is always a fun weekend filled with valuable blogging information! 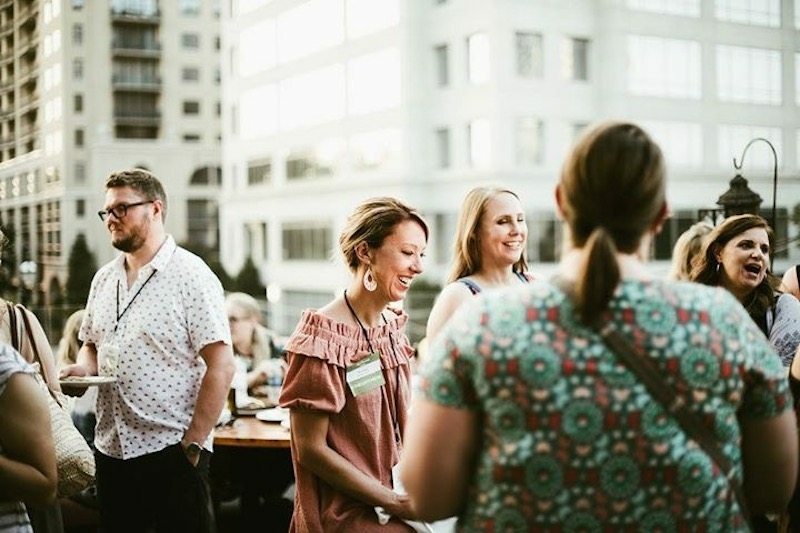 When you spent the majority of your time working from home alone, it is so nice to hang out with other people – especially other bloggers! 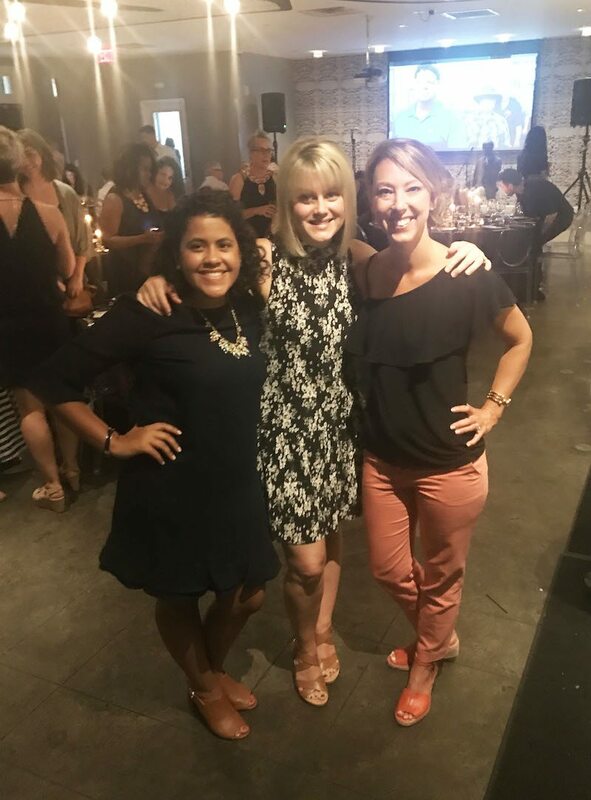 I spent some time with a few talented Indiana blog friends: Ashley from Simply Designing and Angela from Unexpected Elegance. Angela and I have roomed together for the past three years, and we also only live about 20 minutes apart. 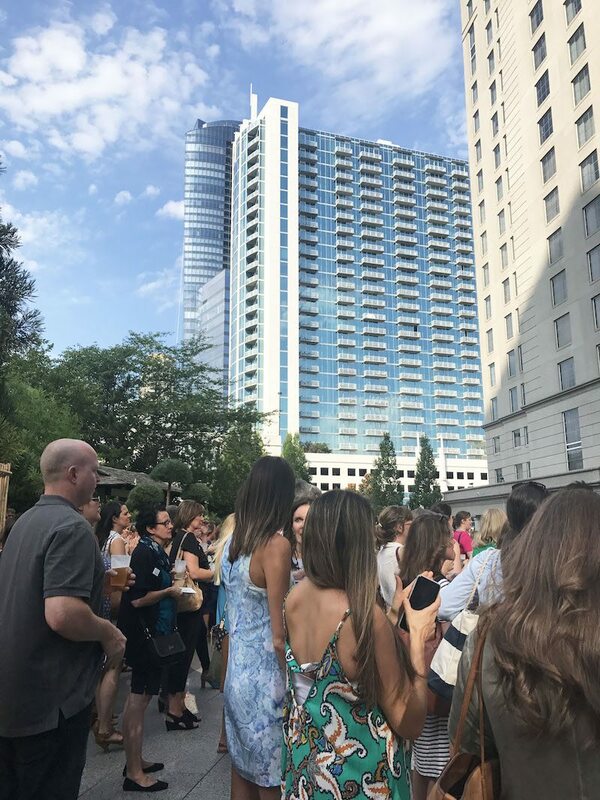 The conference was held at the Grand Hyatt Buckhead (Atlanta) and kicked off with an opening cocktail party on the rooftop. 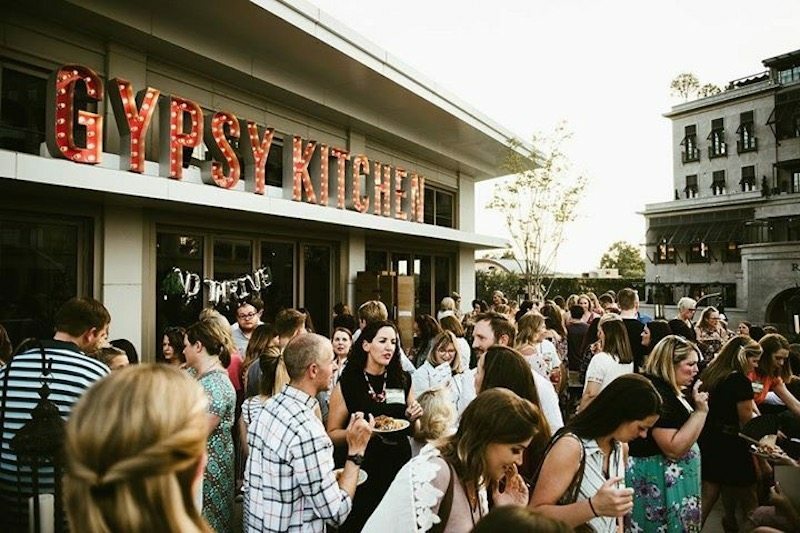 That evening, I went with AdThrive (my ad network) to another fun rooftop even at the Gypsy Kitchen. It was a gorgeous (and really, really hot) evening! The next day was packed full of classes, and that evening I went with The Home Depot to a gorgeous dinner they co-sponsored with Kwikset. We were greeted at the door with adorable little keychains which had our table number on them. 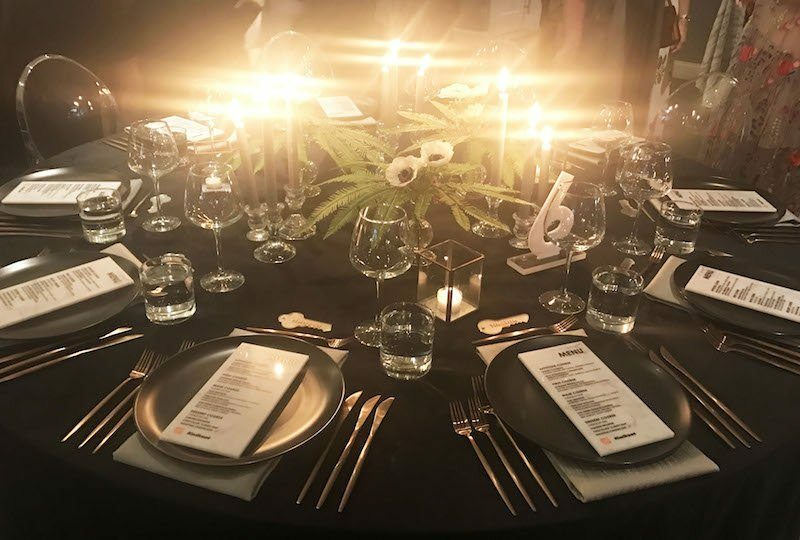 The table setting was absolutely stunning. 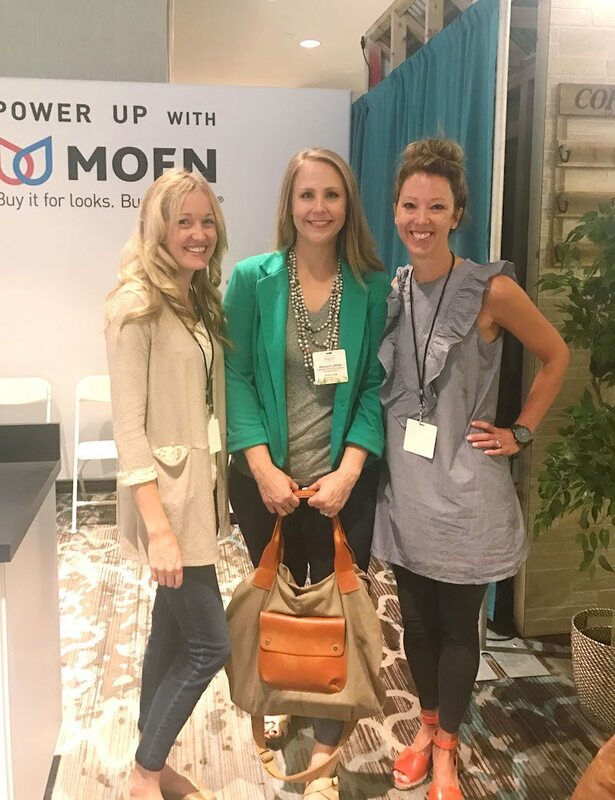 I met several sweet bloggers, and just a couple were April from House by Hoff and Chelsea from Making Home Base. 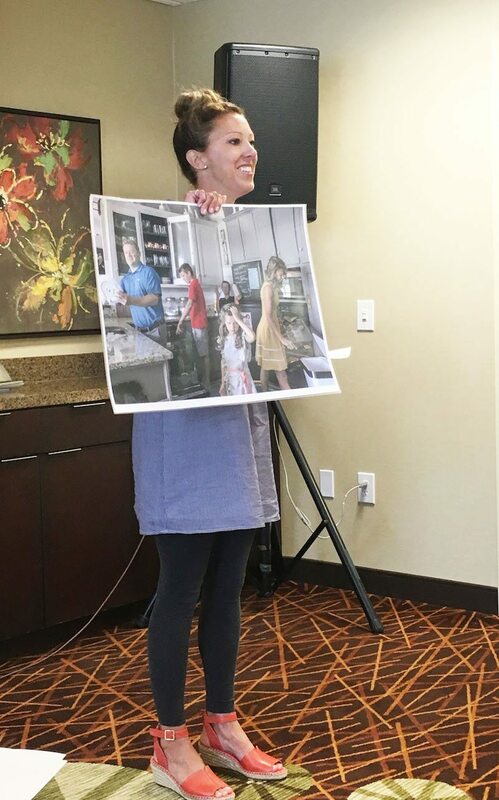 It was a fun evening, and the next day was filled with more classes (I took classes on Lightroom, Facebook, SEO and podcasts). 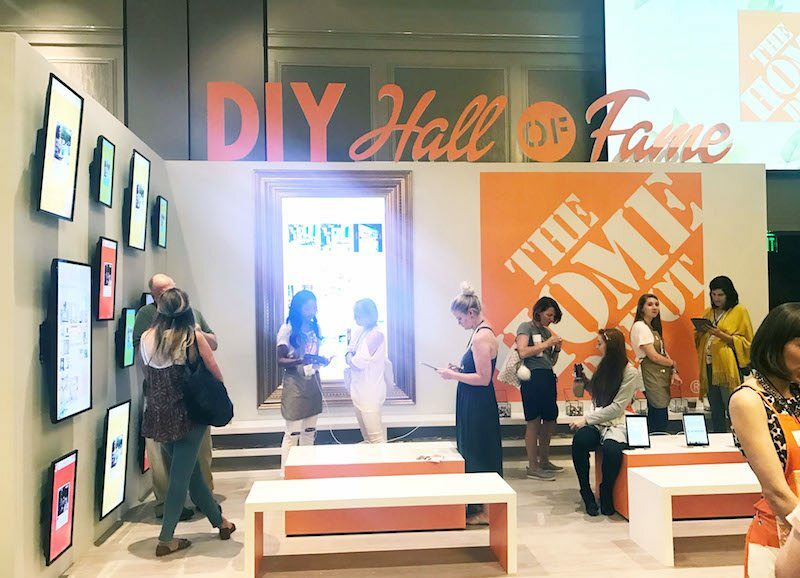 I stopped by the Home Depot Booth to see my little DIY Hall of Fame feature for my family room makeover. Their booth was fantastic and the Home Depot crew is amazing. The Haven sponsors do so many fun things. 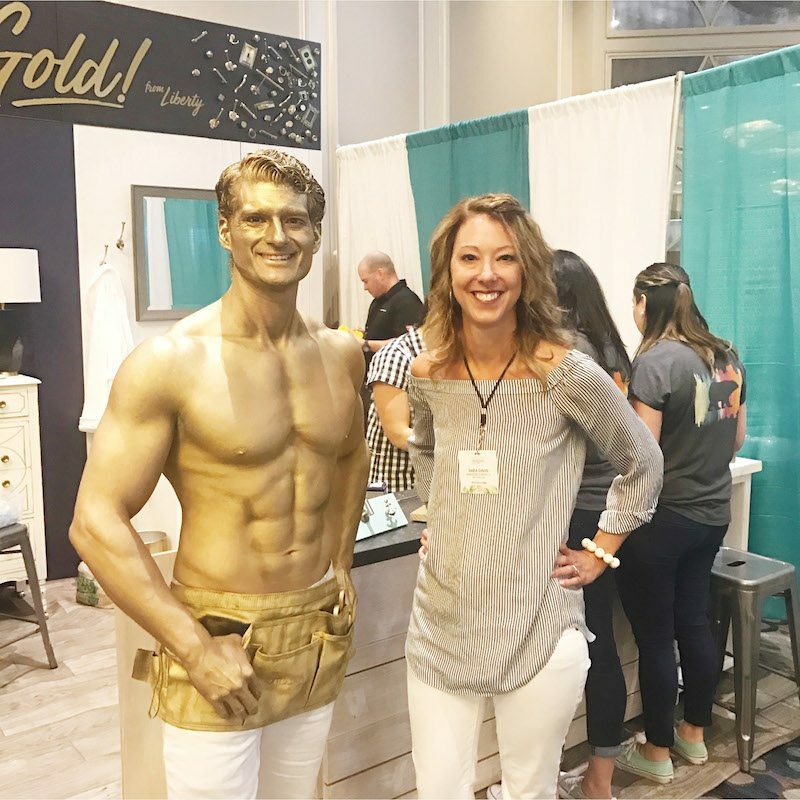 Liberty Hardware gave away adorable tees if you posted a pic with the gold man (you didn’t have to twist my arm – haha)! 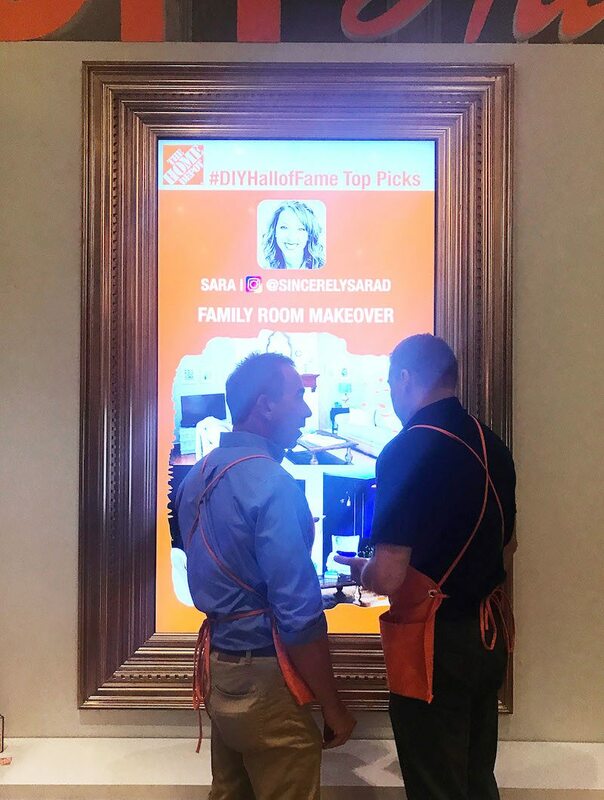 The weekend ended with the Home Depot Orange Tank presentations. Several weeks before Haven, several of us submitted ideas to Home Depot for partnering on projects. There were 12 finalists that had the honor of presenting ideas, and three winners with a Home Depot partnership and money towards their project. 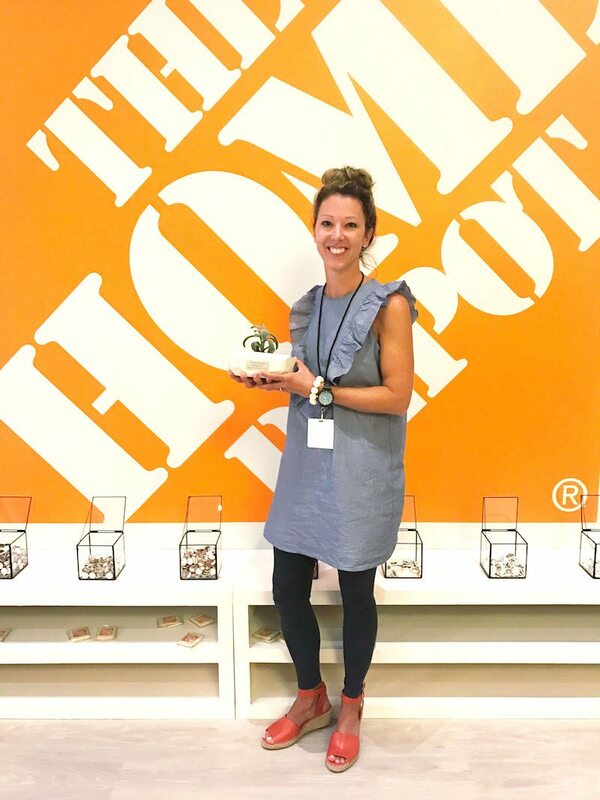 I was THRILLED to be one of the 3 winners, and Home Depot is partnering with me on my kitchen renovation! If you have any interest in reading, my presentation is below. I hope it may be helpful to future Orange Tank presenters, because I had no idea what to expect! Hi! 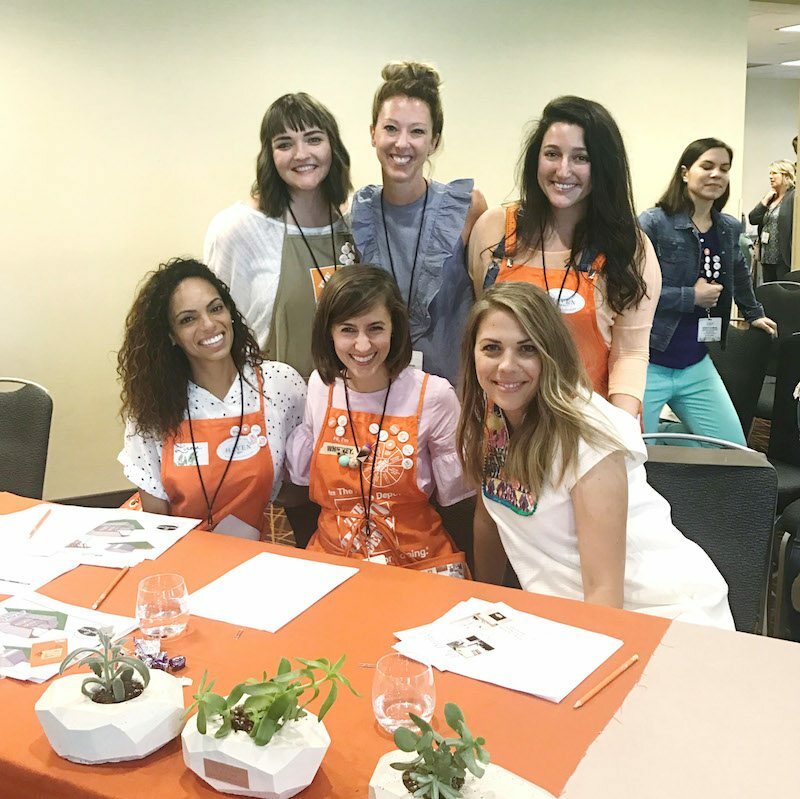 I’m Sara Davis, and I blog at Sincerely, Sara D.
I would be incredibly honored to partner with Home Depot on my kitchen renovation. 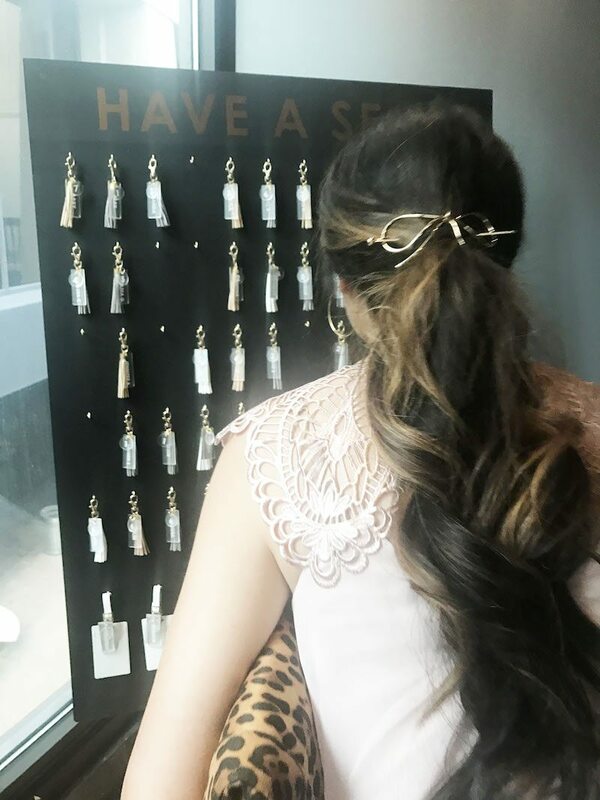 We moved into our home three and a half years ago and made the space feel more like us with some inexpensive cosmetic changes. Here is the before and after of our kitchen. The power of paint is amazing, but it can only go so far. Our kitchen layout isn’t working for us. It was not well designed, and someone is always banging into something. The dishwasher opens too closely to the sink and the fridge is tiny and crammed in the corner. Our oven is a wreck and burns everything (we haven’t had a good cookie in over three years). We need a better layout and new appliances for the space. A new layout also means removing cabinets and suddenly the kitchen is a huge renovation (which is why it hasn’t happened yet). While we’re knocking out cabinets, we want to remove the wall that is between our kitchen and family room. We love to host family, friends and our small group, and opening up the kitchen would make entertaining so much better. I’ve introduced my readers to projects similar in scale to this kitchen remodel. We had a leak in our master bath (so significant the shower was not usable). One thing led to another and suddenly we were in the middle of an entire bathroom renovation. Here is the before and after of our master bath. 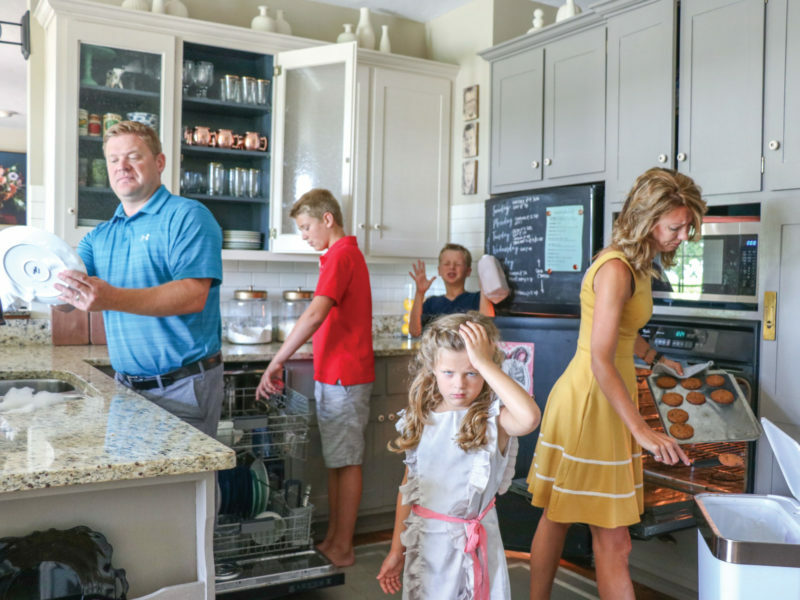 My readers LOVED this renovation, and they will go CRAZY over a kitchen remodel – especially one that involves even more DIY like this project. I can only imagine their excitement with a full kitchen renovation. I promise they will be cheering from behind their screens as they get inspiration for their own homes and spaces. You are just down the road from me so Let’s Do This Home Depot! The kitchen is the heart of the home, and mine isn’t functioning well. Let’s revive the heart of my home together! I was incredibly thankful and overjoyed to win, and I can’t wait to start working on the project together! 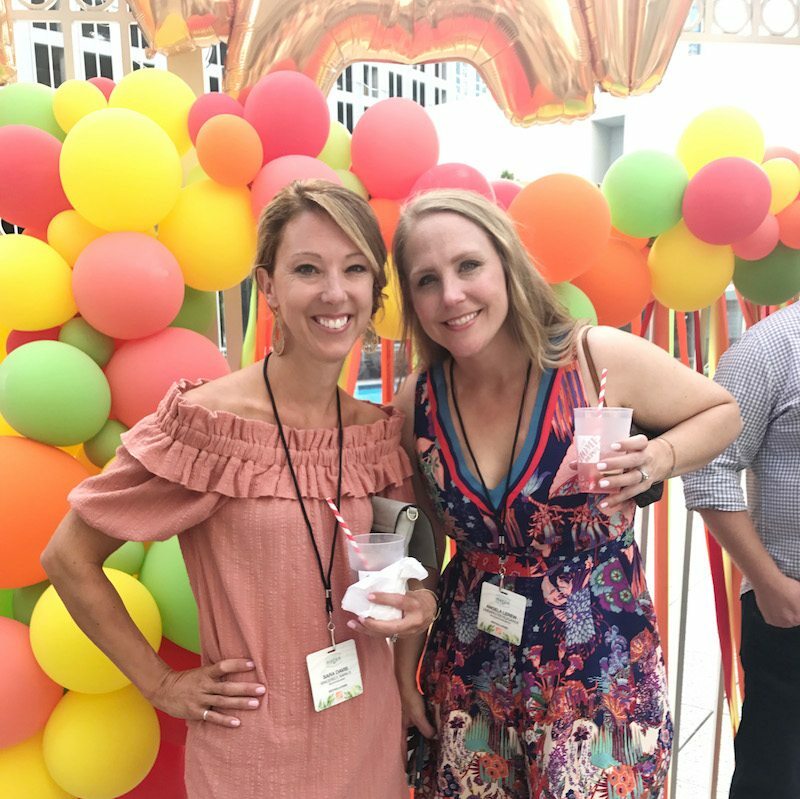 Before I left that evening to catch a flight home (and then on to celebrate my parents’ 45th wedding anniversary), I caught up with my friend Amy from One Artsy Mama. 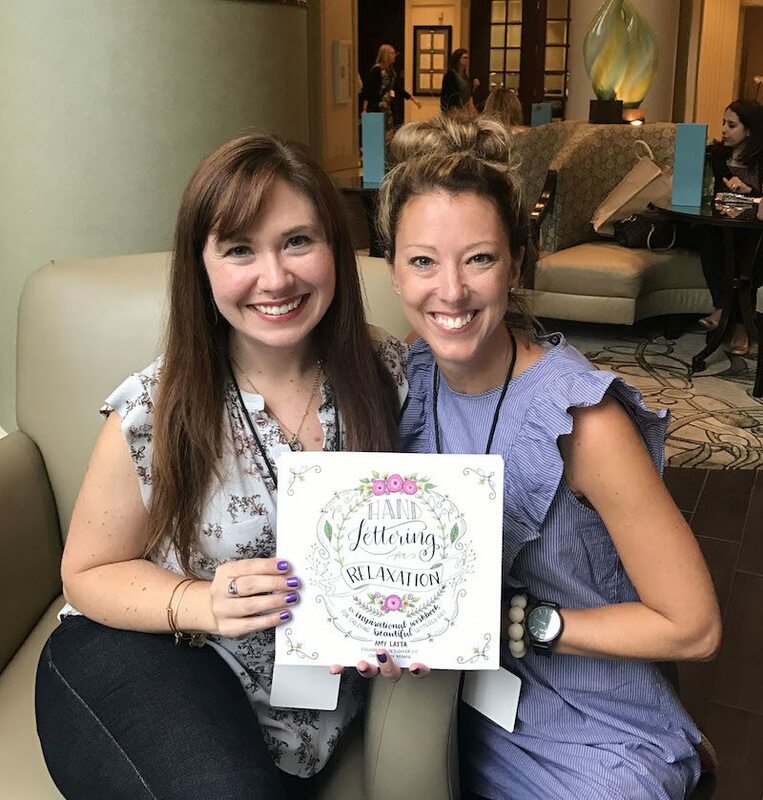 She recently published a book on hand lettering. It was a fun-filled weekend, and I’m looking forward to next year’s Haven!